Snake gourd belongs to the cucumber family and is native to India. It is widely grown in India, Sri Lanka, Thailand, China, Australia and Africa . It requires insect/manual efforts to carry out the pollinating process for setting fruits . Snake Gourd has a very high nutritional value and it comprises of protein, fat, carbohydrate and solution fiber . .
Snake Gourd contains a lot of fibre, and thus it helps in smooth working of the digestive and excretory system. Snake Gourd majorly consists of water, and thus it has low fat and cholesterol. Thus, it is a good dietary food. 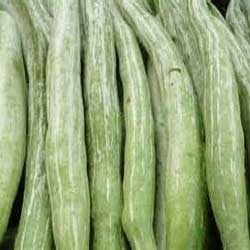 The snake gourd is highly rich in minerals like calcium, magnesium and phosphorous. Calcium and the other minerals are all essential for our body in optimum quantity.